Funny birthday quotes, on their own, are funny but don't really say much about the birthday boy or girl...or your feelings for them. You need to add birthday wishes from the heart to famous birthday sayings to make them more personal, which will definitely make all the difference to your loved ones. 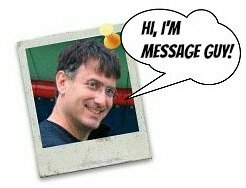 To make the whole process of choosing the right quotation easier, I've written (for you) personal birthday wishes before and after the funny quotes below. Of course, you can tweak these birthday verses, if you want to make them even more personal. You can even use the wishes without the funny birthday quotes. One of the best times to make people laugh at themselves is their birthday. Any age is fodder for humor. Funny birthday quotes can amuse just about anyone you know. Choose funny birthday quotes (with personal birthday messages) below that most bring out your funny bone and best reflect the recipient’s sense of humor. Important: pick a serious quote if the birthday boy or girl can’t take a joke. This is a secret you and I can definitely share. “The secret to staying young is to live honestly, eat slowly and lie about your age." This year, we're 39, right? “Put candles in a cake, it’s a birthday cake. Put candles in a pie, and somebody’s drunk in the kitchen." Heck, let's have a blast. Pass the bottle! Happy birthday! 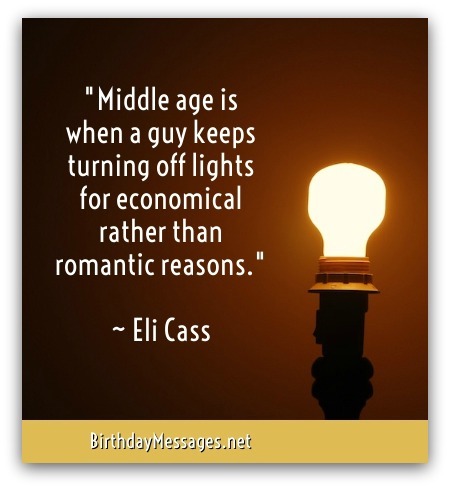 “Middle age is when a guy keeps turning off lights for economical rather than romantic reasons." On your special day, let's kill two birds with one stone and do it for both reasons. 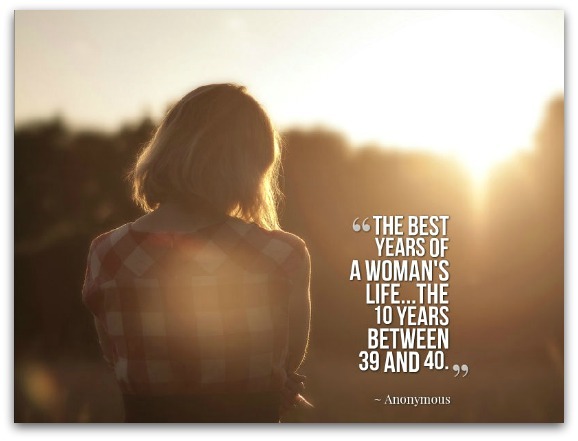 “The best years of a woman's life — the 10 years between 39 and 40." “Growing old is like being increasingly penalized for a crime you have not committed." Let's break out and take off in a very expensive sports car! Happy birthday! “For my birthday I got a humidifier and a dehumidifier...I put them in the same room and let them fight it out." So I got you the best gift I could think of: me. Happy birthday! This is one of my top picks because it touches upon the notion that husbands, forever knuckleheads, should never provoke the wrath of a woman who already feels lousy about growing older...all in a lighthearted, truth-in-jest way. “The best way to remember your wife's birthday is to forget it once." Honey, I've imprinted your birthday on my brain (because I want to, not because I have to). Happy birthday! It's your birthday, right? Keep looking for the right quote! 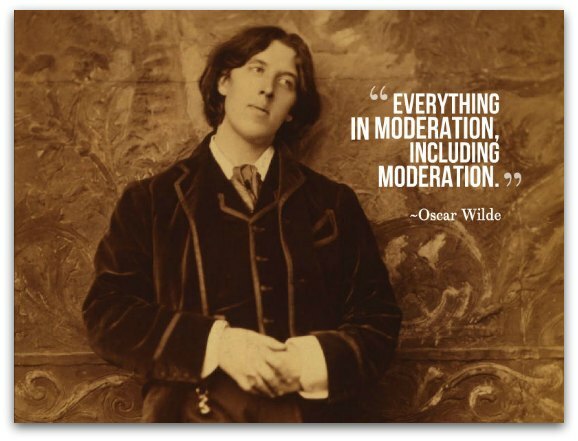 “Middle age is when your age starts to show around your middle." I don't know about you but I wouldn't mind being a little less tremendous. Happy birthday! “My girlfriend bought me a collared shirt for my birthday, mainly so I don’t get too far ahead of her when she takes me for a walk." On your special day, I hope you're allowed out. Happy birthday! Whatever you do, don't like at the birthday candle bill. “You know you're getting old when the candles cost more than the cake." I didn't know you can fit so many candles on a cake. Happy birthday, old fart! You're not getting older. The men are just getting deliciously younger. “The lovely thing about being forty is that you can appreciate twenty-five-year-old men." 25 is our lucky number. Happy birthday! “I was brought up to respect my elders, so now I don't have to respect anybody." But I'll respect you in the morning, no matter how much you celebrate your birthday! “No wonder I'm unhappy… My twin forgot my birthday." We all remembered your birthday! Have a great one! “To my surprise, my 70s are nicer than my 60s and my 60s than my 50s, and I wouldn't wish my teens and 20s on my enemies." I think this is what Norman Wisdom means by "senior moments." “As you get older, three things happen: The first is your memory goes, and I can't remember the other two." “Age is a number and mine is unlisted." Never tell anyone your age, even yourself!